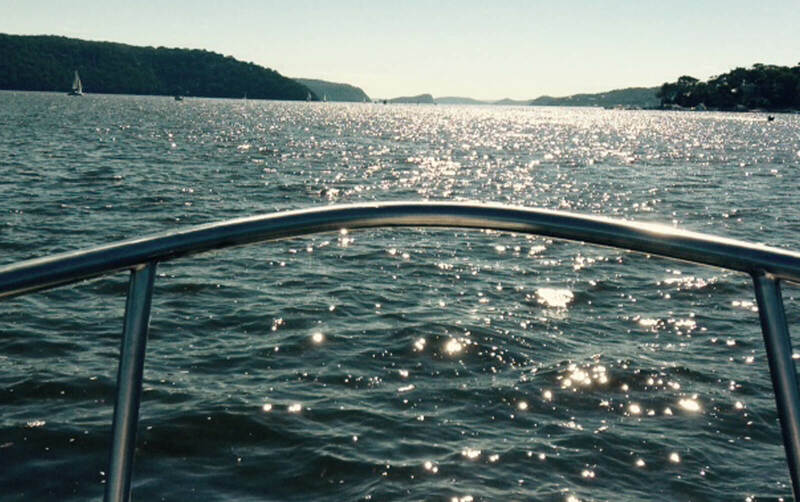 You need search no further for your perfect Charter Boat Hire holiday in beautiful Pittwater…. As soon as you arrive at the Princes Street Marina in Crystal Bay Newport you’ll start to feel like you’re on holiday. Ample marina parking and easy walk-on access to Kangaroo helps you relax and prepare for a very special experience. Our friendly, professional and knowledgeable charter team will be there to welcome you upon arrival, help you set off into the Pittwater waterway and assist you to dock on your return to the marina. No boat licence is required to charter Kangaroo and we provide a thorough pre-charter briefing to take you through all you need to know before you embark on your Pittwater/Broken Bay/Hawkesbury/Cowan getaway. Kangaroo has 7 berths and can carry up to 10 passengers during daylight hours. She has been thoughtfully equipped, is superbly comfortable and is, above all, charming. Her spacious interior and generous deck areas make Kangaroo an ideal home away from home. For those not comfortable self-driving, we can assist to deliver you to your very own secluded piece of Pittwater paradise and return you to the marina at the end of your sojourn. You’ll find that Kangaroo is truly a home away from home. She is fully equipped to entertain up to 10 passengers. Her berths are superbly comfortable and her recently renovated head offers enclosed hot shower and electric flush toilet. On-board entertainment includes radio/CD/mp3 player with AUX input (iPod compatible), portable DVD player and a selection of books, board games & cards. See FAQs for greater detail about the on-board facilities and equipment provided. See FAQs for greater detail about what you need and might like to bring aboard. Standard hire rates apply from 1st February to 12th December. Peak season is from 13th December until 31st January. Overnight fee including in-marina night available on application i.e. you keep the vessel for an extra night. All prices are in Australian Dollars and inclusive of local taxes. Fuel and bond are additional. We also have outboard motor for the dinghy for hire. Please contact us for quotes that mix weekend and midweek rates. Hire Rates are correct as at January 2018.